Austin Bowles, a member of Stillwater, Eagle Heights, previously served as Pistol Pete. That became Austin Bowles’ goal starting his freshman year at Oklahoma State University (OSU). 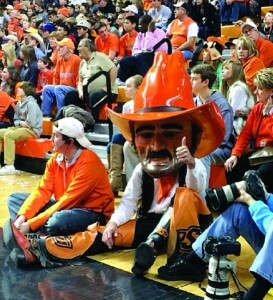 As a sophomore, Bowles tried out and was selected as one of two people to be OSU’s mascot. Throughout his two-year commitment as Pistol Pete, Bowles estimates that he made more than 500 appearances. In the midst of his busy schedule, he explained that God taught him a lot of small lessons. “I learned that time isn’t everything,” he said. “As busy as we were, we always felt crunched for time, and that there weren’t enough hours in the day. Bowles grew up attending Duncan, First with his family. Upon moving to Stillwater, he plugged himself into Stillwater, Eagle Heights. He credits his church involvement as one key help to staying strong in his faith. “For me, a lot of my ability to stay committed to my beliefs (in college) was anchored by being involved at Eagle Heights. It is important to be plugged into a church and a core group of believers who are going to hold you accountable. Accountability is huge in tempting situations,” Bowles explained. Bowles also understood the importance of growing his personal relationship with God each day. 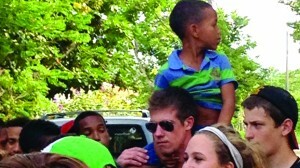 Austin Bowles served for two weeks in the Dominican Republic and put on a Vacation Bible School for children. 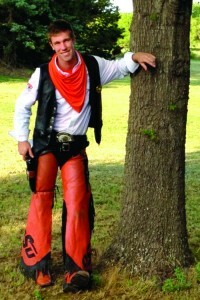 As Pistol Pete, Bowles searched for opportunities to minister to others. “I really wanted to use it as a tool to try to show that I was a ‘light in a dark place.’ I wanted to be there to answer any questions and just be a go-to guy. Pete is around a lot of worldly things. Feeling a call to ministry in high school, Bowles serves as much as he can. One summer he spent each week serving at a church camp in Northeastern Oklahoma; another summer he spent two weeks in the Dominican Republic and put on Vacation Bible School activities for children, he also worked at Kids Across America and interned at Kingfisher, First. 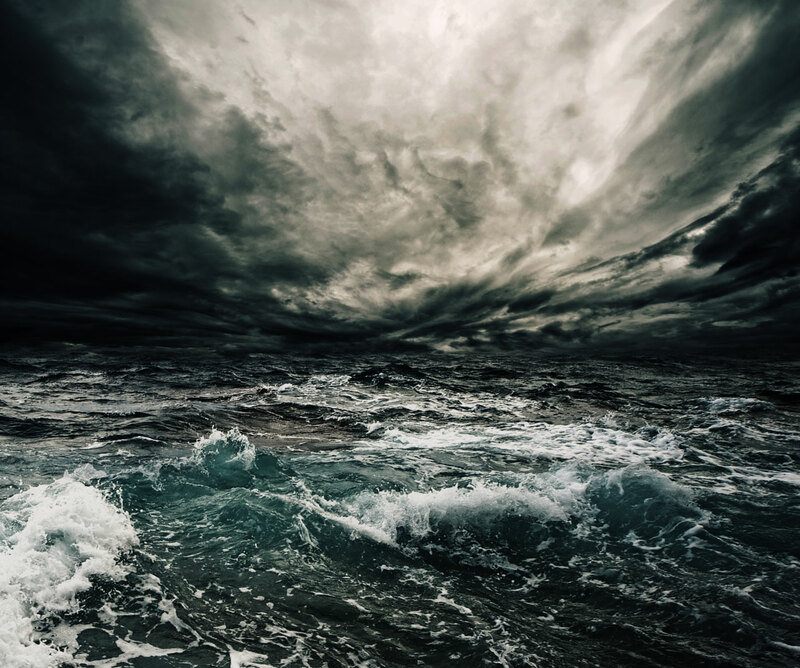 “My call to ministry is fairly unique. I feel led to work primarily with churches. So many towns/cities in Oklahoma have dealt with the problem of church splits and separation. So often communities are split apart by the church rather than united behind it, and I feel like that’s not how the body of Christ is to look according to Scripture. His next step in his life adventure includes a big move to Seattle to work with Union Gospel Mission under the Serve Seattle emphasis to learn the skills he needs to unite churches so he can one day bring his calling back home to Oklahoma. “The Mission brings in 40 students between the ages of 18-25 and they plug you in to an internship somewhere in the city that is something you are passionate about, whether it be working with the homeless community or human trafficking or youth or anything like that. My internship specifically will be learning how they coordinate all their churches to serve together regardless of denomination.